Here is Some Information about Lord Kalabhairaveshwara Temple in Adichunchanagiri Karnataka India. 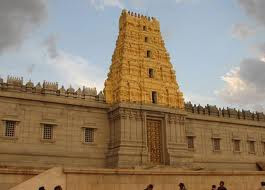 Sri Kalabhairaveshwara Temple is the One of the ancient temple in Karnataka. Sri Kalabhairaveshwara is the Kshetra Palaka of Sri Adichunchanagiri Mahasamsthana Math. Lord Gangadhareshwara is the presiding diety. The Pancha Lingas, the Jwala Peetha, Sthambamba are all held in great reverence by the devotees. The peak point of the Giri (hillock) is known as Akasha Bhairava and the sacred pond by the temple is Bindu Sarovara. Recently two attractive lakes have been built for the Theppothsava programmes. The old Bindu Sarovara is also renovated recently as per agama tradition. 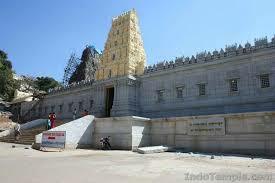 Sri Adichunchanagiri Mahasamsthana Math is situated on a rocky hill at an altitude of about 3,300 ft. above M.s.l. 110 kms west of Bangalore, the capital of Karnataka, India and 6 kms from Bangalore-Mangalore National Highway 48. The approach to the hill is from the west and the pilgrim who looks up the hill while visiting, it finds the hill itself to be in the form of Athmalingam found in the Gokarna Kshetra. At the time of moon-rise the hill appears like the moon crested Shiva, i.e, Chandramouleswara. This abode of green woods and small lakes enlivened by wild peacocks and birds has been attracting sages and rishis since ancient times. The Shivapurana, inscriptions and the folklore have references to this Kshetra. Legends say that AdiRudra handed over this Kshethra to Siddha Yogi who established the Siddha Simhasana and the Math. The present head His Holiness Sri Sri Sri Balagangadharanatha Mahaswamiji is the 71st from Siddha Yogi. This ancient "Dharmapeetha" has successfully preserved and propagated the Indian heritage through the ages. Besides, the Math is striving for the welfare and betterment of the rural laymen. It has established several educational and technical institutions in and outside Karnataka. These services started and spread immensely since the present Swamiji became the pontiff of the Math in 1974. More than 300 institutions are run by the Trust through a Board of Trustees under the presidentship of His Holiness Jagadguru Sri Sri Sri Balagangadharanatha Swamiji. By Air: Nearest Railway Station is Bangalore. By Rail: Nearest Railway Station is Bangalore. 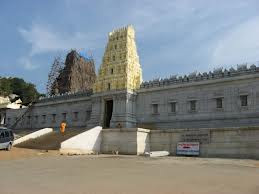 By Road: Many cities connected to Kalabhairaveshwara Temple.There are many public and Private vehicles available to reach Lord Kalabhairaveshwara Temple Adichunchanagiri Karnataka.